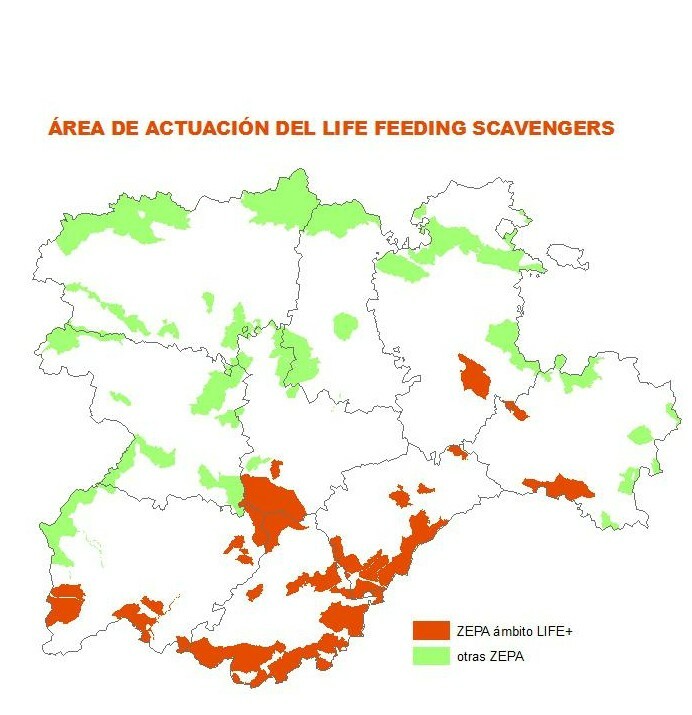 The project will be developed in the geographical area covering the entire range of the breeding population of black vulture in Castile and Leon, areas of possible recolonization by the species, and important feeding areas for black vultures and other species of carrion eating birds like kites and the Egyptian vulture. 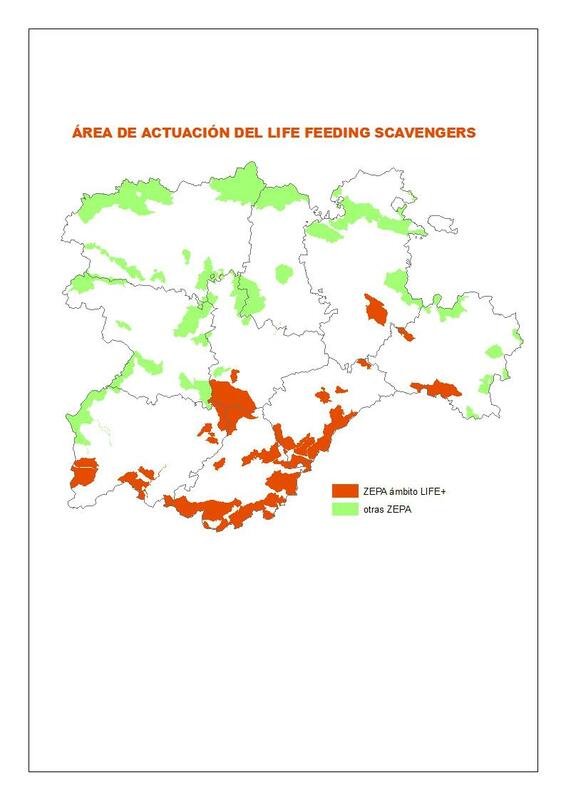 All direct conservation actions take place within the Natura 2000 network, in 26 Special Protection Areas for birds ZEPA, in the provinces of Salamanca, Ávila, Valladolid, Segovia, Burgos and Soria. The foraging habitat of the target species in Castile and Leon essentially corresponds to mountain areas of the Central System, including the main breeding populations of these species and flatter extensive agricultural areas to the north of this mountain, which constitute the main foraging and feeding areas for species such as black vulture and wintering populations of red kite. The 26 ZEPA areas included in Life add up to 784.000ha.